We tend to forget celebrities are real people. They go out to eat at restaurants. They walk their dogs in the local park. They have embarrassing moments, just like the rest of us. On February 28, 2019, Twitter users shared their most insane celebrity sightings. These tweets will remind you that your favorite celebrity is just like you. Robin Williams loved to make people laugh. A Twitter user (@mapninja) shared a memory of when he was at a New York City Starbucks with his one-year-old. His child started laughing uncontrollably. 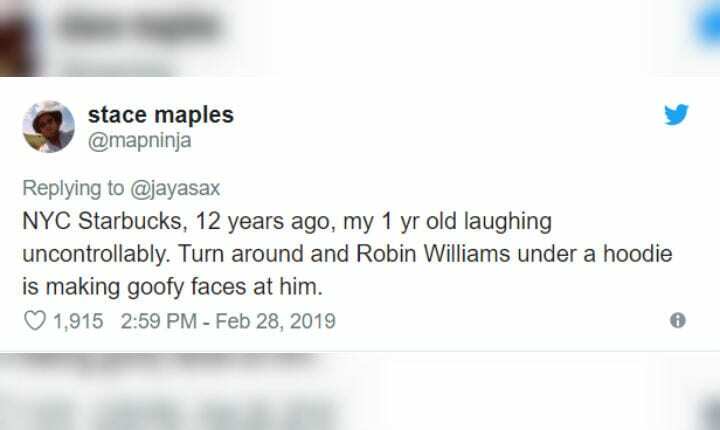 The man turned around and saw Robin Williams making goofy faces to get the man’s child to laugh. That’s the Robin Williams we know and will always remember. The hills (or parks) are alive with music. 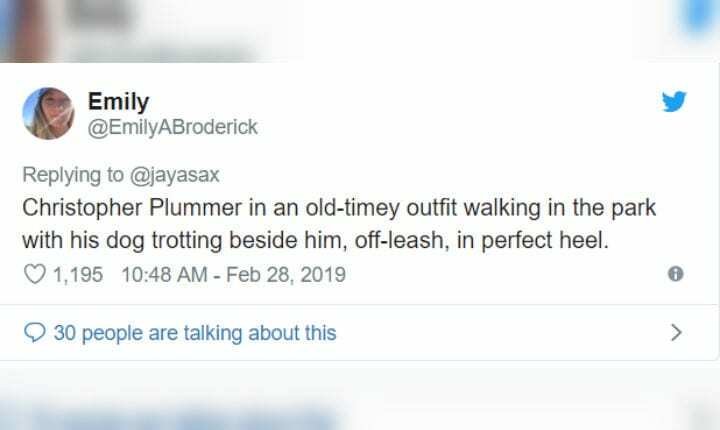 One Twitter user (@EmilyABroderick) remarked on the time when she saw The Sound of Music star, Christopher Plummer, walking his dog in a local park. Plummer was dressed in an old-fashion outfit, practically straight out of his movie. At least some things never change. Sometimes, you don’t know if a celebrity is actually an impersonator. 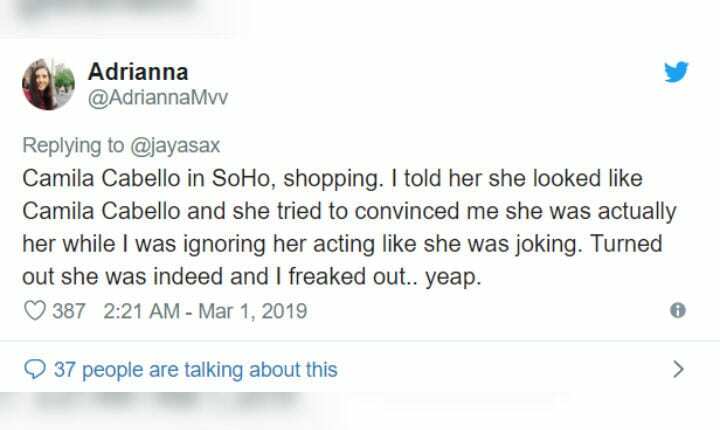 That’s what happened to a Twitter user (@AdriannaMvv), who commented that she encountered Havana singer Camila Cabello while shopping in SoHo, Manhattan. When the user told Cabello she resembled the famous singer, Cabello tried her best to convince her that she was the real celebrity. The woman didn’t believe the story, but she probably felt embarrassed afterward. Captain America is one of the most charismatic superheroes of all time. Chris Evans, who plays Captain America in the popular films, is just like his character. He frequently saves the day. 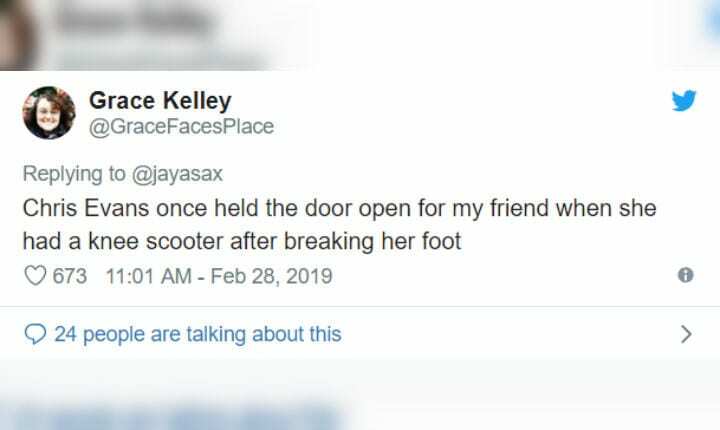 According to a Twitter user (@GraceFacesPlace), Evans held the door open for her friend, who had a knee scooter from an injury. We need more people like him. Celebrities are just like the rest of us. They go shopping with their children and have to tell them that they can’t buy a new toy. 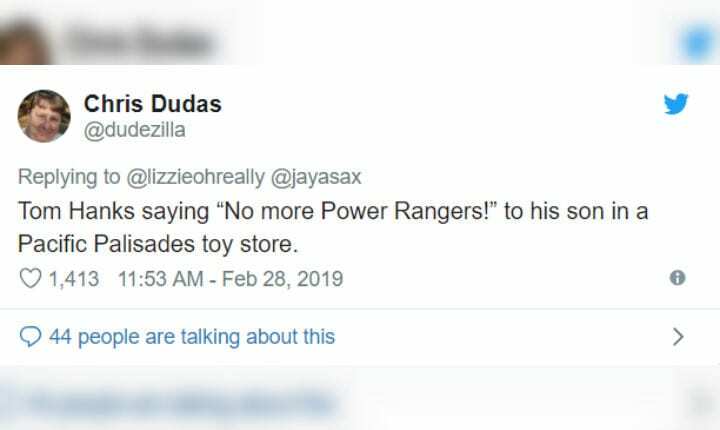 A Twitter user (@dudezilla) shared a memory of witnessing Tom Hanks telling his son, “No more Power Rangers!” at a Pacific Palisades toy store. Now, if his son wanted to buy Woody from Toy Story, Hanks couldn’t deny that. Next articleResearchers paid people to take a Facebook "detox"